Looking for some easy cocktail recipes? Look no further! These cocktails are simple and enjoyable to make. Whether you prefer gin, vodka or rum you can whip up any one of these cocktails in minutes at home. Cheers! The combination of coconut rum, pineapple juice and orange juice is delicious! Get a hammock and you will feel like you are in a far off tropical destination. 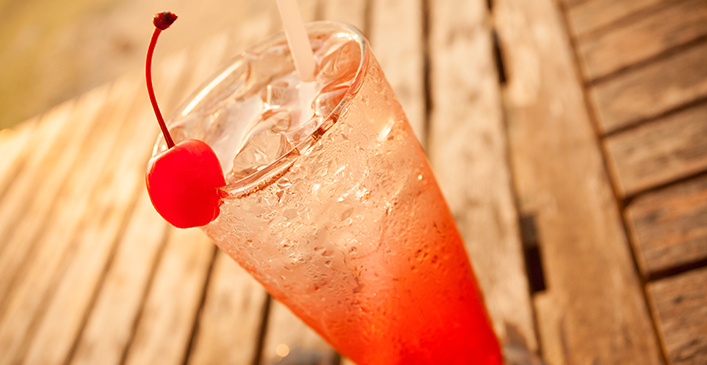 Pour Malibu rum into an ice filled glass. Stir in pineapple juice and orange juice. Top off with a splash of cranberry juice. Garnish with maraschino cherries, pineapple or orange slices.